Stephen Austin is a leading provider of electoral printing and distribution services to local authorities across the United Kingdom. 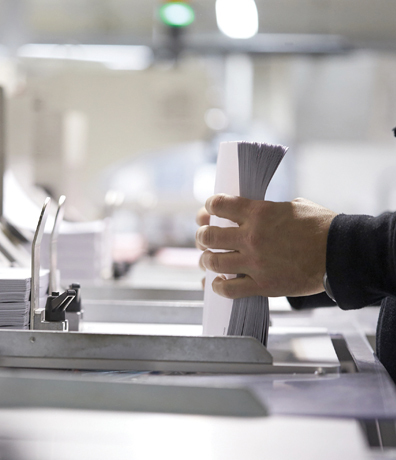 From our secure production facility just north of London, we deliver the full range of electoral and registration products – from poll cards, postal voting packs and ballot papers to electoral registration and canvass documents. The earliest records of our work in elections date back to 1790. More recently, Stephen Austin acquired Document Technology Ltd (DTL), another specialist in the printing and distribution of electoral materials, consolidating nearly twenty years of experience with our own security printing and distribution operations in Hertford. Whether your requirements are large or small, simple or complex, we aim to provide a bespoke service that is a fail-safe choice for trust, accuracy and security. To find out more about our electoral print and distribution services, please see our dedicated Elections site elections.stephenaustin.co.uk or contact us. At Stephen Austin, we believe that every client relationship is a partnership. Our team works collaboratively with you throughout the printing and delivery process, sharing our knowledge and experience to help you formulate the most effective and efficient specification for production, delivery and distribution. 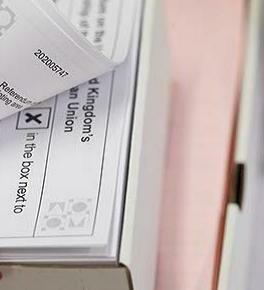 We understand the detailed legislation governing electoral materials and work closely with the Association of Electoral Administrators, Cabinet Office and Electoral Commission to ensure your documentation meets legal requirements. 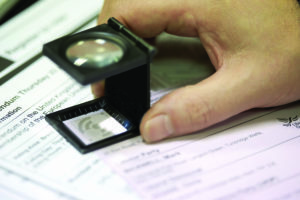 Above all, we believe it is vital to cater for the individual needs of our clients, allowing them the flexibility to operate effectively within their local context whilst meeting the strict legal requirements for election documents. An expert partner to work collaboratively with you throughout the election process. That’s peace of mind. To find out more about our electoral print and distribution services or to request a brochure, please contact us. The printing and delivery of electoral materials is a highly complex part of the electoral process. 100% accuracy in all data and documentation is a no-fail requirement. At Stephen Austin, we use a combination of the latest digital printing technology and rigorous procedures developed specifically for electoral materials to deliver the highest levels of quality and accuracy. Faultless election materials are the signature of the Stephen Austin brand. That’s peace of mind. To find out more about our electoral print and distribution services, please contact us. At Stephen Austin, we take full responsibility for your materials throughout the production and delivery process. IT and data security is supported by our Cyber-Essentials Plus certification and regular external penetration testing. Stephen Austin is proud to have achieved certification to the internationally recognised best practice framework for Information Security Management; ISO 27001:2013. 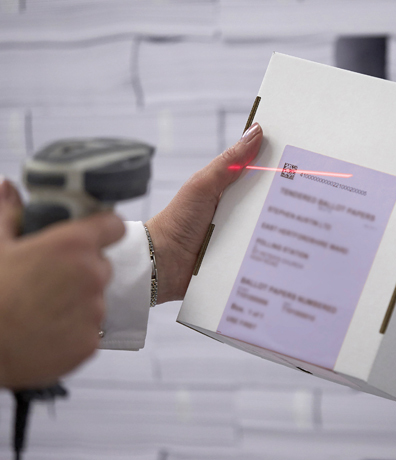 Physical document security is delivered by our ‘chain of custody’ technology, which tracks every document from when it first arrives at our facility to when it is delivered, giving you confidence that the security and integrity of your materials will be maintained at every stage. 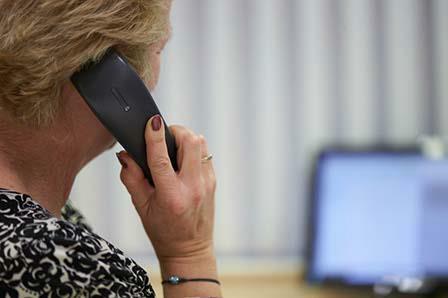 We work closely with Royal Mail to track the delivery of items leaving our premises. In addition, the application of ‘Mailmark’ also minimises Royal Mail delivery costs and enables access to Mailmark’s online reporting system. Our clients also benefit from our strict physical security measures, from CCTV cameras and 24-hour manned security to annual declarations of confidentiality from all staff. The timely delivery of electoral materials to strict legislative timetables is a fundamental electoral objective. The choice of a trustworthy and reliable supplier is therefore essential. At Stephen Austin, we commit to delivery deadlines and we never let our clients down, inspiring trust in all our relationships. Transparency is critical to establishing trust and confidence. We provide 24/7 online access to all production and distribution data via our secure web portal, allowing you to track the progress and punctuality of your materials. For added assurance, robust business continuity and disaster recovery plans allow us to handle any contingencies that a client might require. A partner you can trust to deliver in full, on time, every time. That’s peace of mind. For postal and polling station voting. Postal, polling station and empty property cards collated for ease of canvass delivery. In A5 or A4 format, enveloped if required. Application of Mailmark to minimise Royal Mail delivery costs and utilisation of Mailmark’s online reporting system. Meeting all requirements for postal and polling station voting. Provision of tendered ballot papers. Inclusion of barcodes, including 2D (QR) codes. Supplied numbered, packed and fully labelled in a convenient ballot paper dispenser, collated for each polling station. Delivered palletised or bulk boxed as needed. Design, printing and personalisation of application forms with mailing on demand. Provision of unique and compliant postal vote packs. Attached postal voting statement to eliminate mismatching. Postal voting pack applicable across all elections from the General Elections, Referenda, Parish Council elections as well as for combined elections. Flexible production of short notice by-elections. Extensive resources to minimise timescales and maximise efficiencies. Inclusion of personal identifiers to link into bespoke text or registration systems to maximise return rates. Processing of rolling registration documentation. Barcodes, including 2D (QR) codes can be incorporated to allow for efficient form processing. Delivered to the Local Authority packed in canvass order or ready sorted for Royal Mail delivery. Design, printing and personalisation of personal identifier notices. Management, printing and delivery of reminder and removal notices.